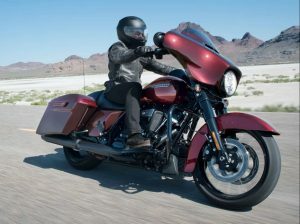 Riding a motorcycle requires a very careful and cautious mentality towards being safe. This mentality should also be applied to finding reliable motorcycle towing services within Camarillo and the Simi Valley area. KB Camarillo Towing has dedicated trained technicians who specialize in towing motorcycles and sports bikes. They know exactly where and where not to fasten the bikes to make sure they are left in perfect condition. 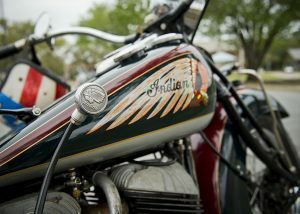 It's very important to keep good care of your motorcycle so be sure to know which towing company to call when you need affordable motorcycle towing services. Our phone operators and towing technicians are available 24 hours a day to take your call. Keep in mind that our motorcycle towing services are very affordable. Finding low cost towing in Camarillo or the Ventura area is hard to come by, however we tend to go the extra mile. If you need motorcycle roadside assistance we also provide a vast assortment of services listed within our Roadside Assistance section. Whichever issues or towing service you may need be sure to let our phone operators know what you need. They will send out the appropriate tow truck or roadside assistance vehicle to your area within minutes. Call us anytime you need affordable motorcycle towing services in the Camarillo or Ventura area. We've towed various types of motorcycles from Indian, Harley Davidson, Ducati, Kawasaki, Yamaha, Honda, TVS Apache, Bajaj Pulsar, even smaller motorcycles like the Vespa's. Within our 10 years experience we have basically helped all types of bikers with their towing and roadside assistance needs. 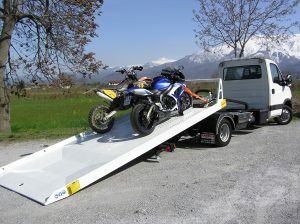 If you're looking to hire an experienced motorcycle towing company give us a call anytime. Our drivers will arrive on time or early.